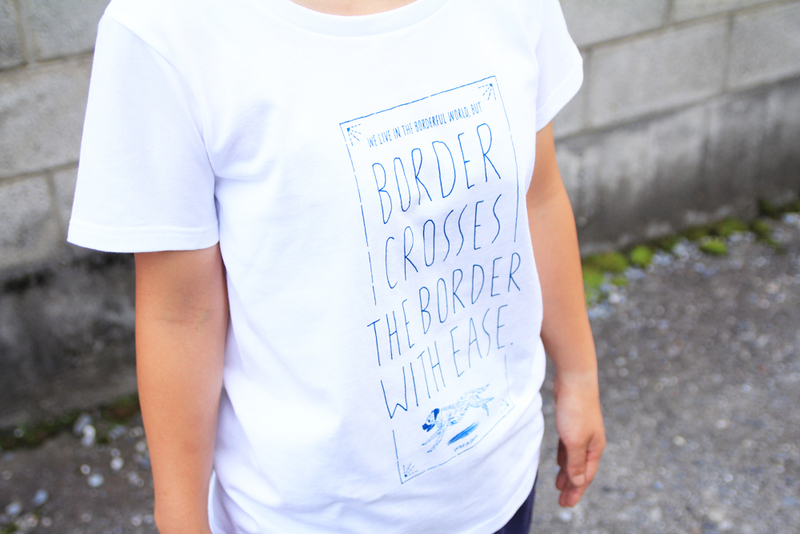 My studio “Shiteki-na-Shigoto” will be one of very unique studio having two main works—writing poems and graphic design. 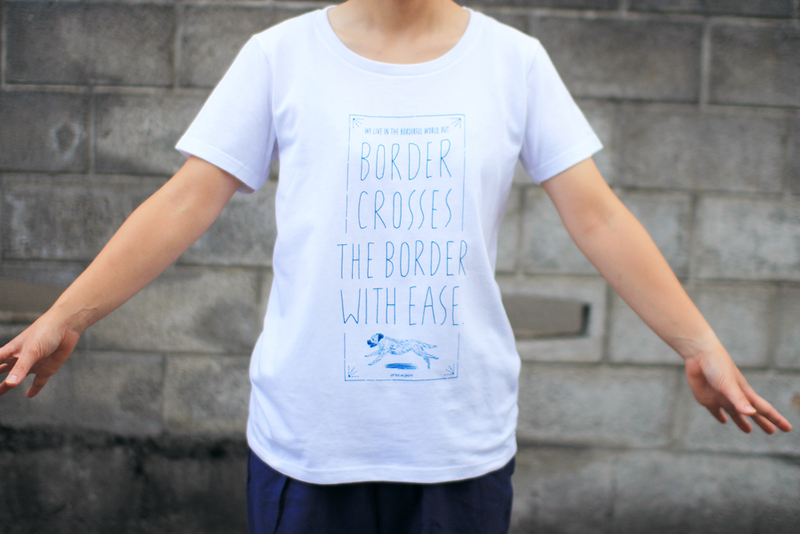 I have been making the original t-shirt of my studio every year with using the sense of poetry and the skill of graphic design. 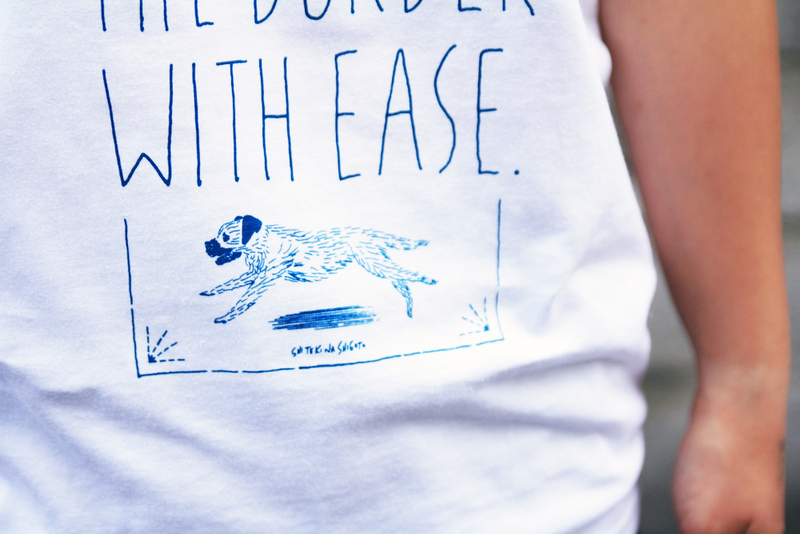 In 2015, I made second design of t-shirt in the motif of one dog, Border Terrier. 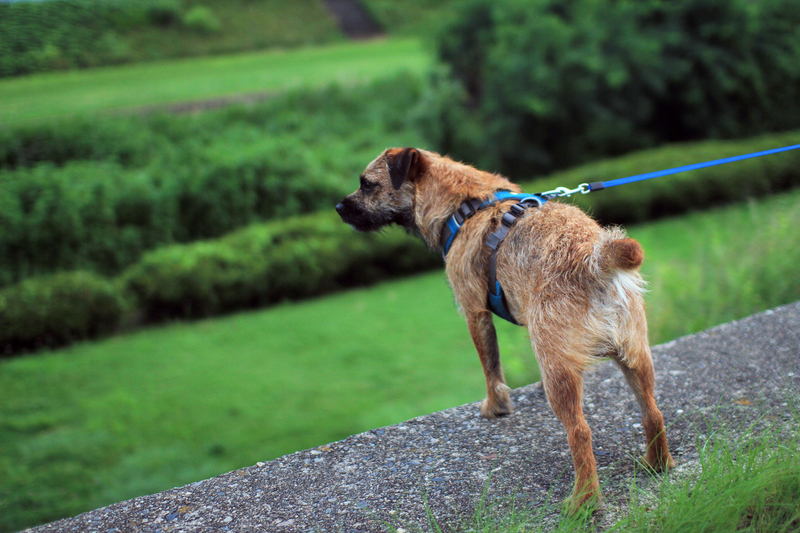 Originally, Border Terrier was started to keep for fox hunting in the Scottish Borders where is the border area between Scotland and England. 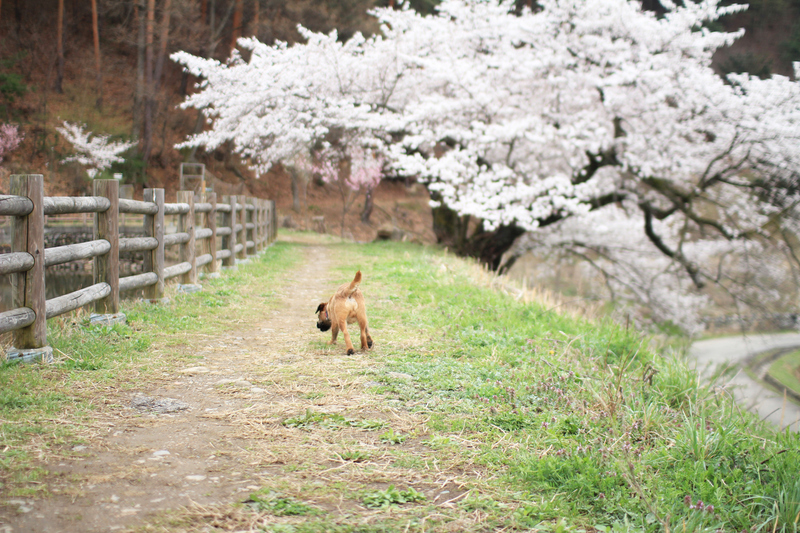 The dog is originally full of curiosity, charming and friendly but he goes on its own pace and doesn’t meddle in other people’s affairs. 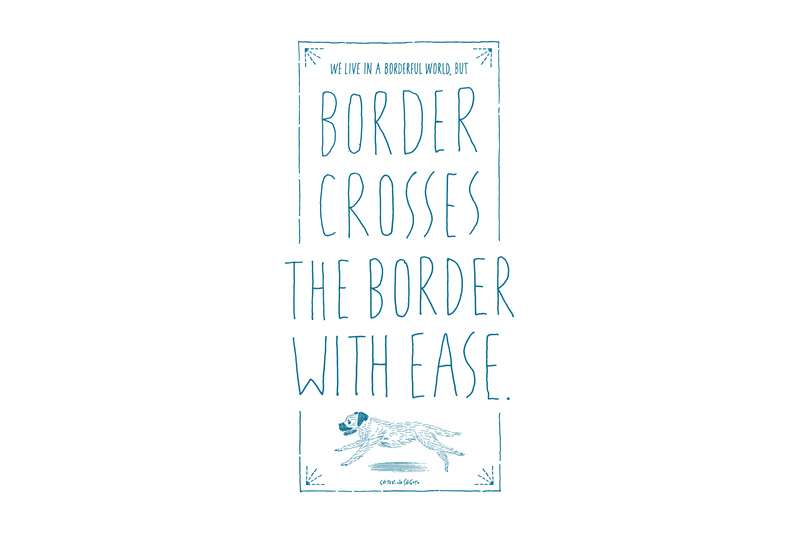 I wrote one message “WE LIVE IN THE BORDERFUL WORLD, BUT BORDER CROSSES THE BORDER WITH EASE” with a motif of such a character of him. 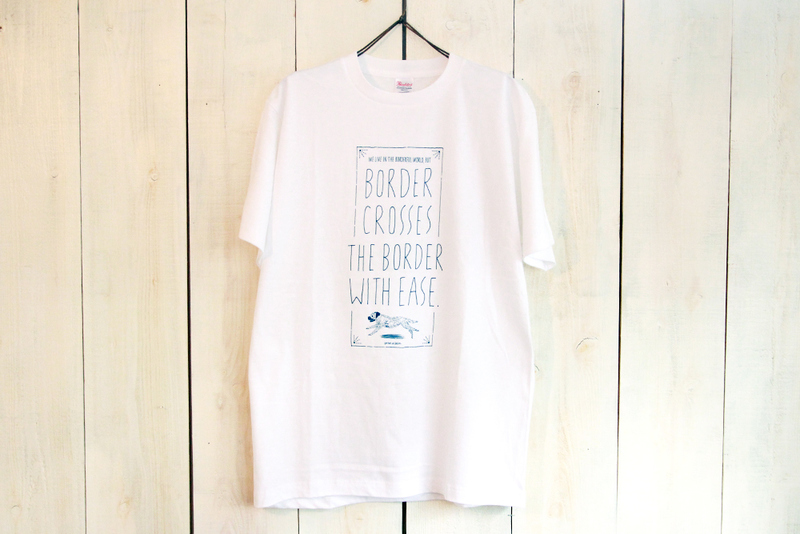 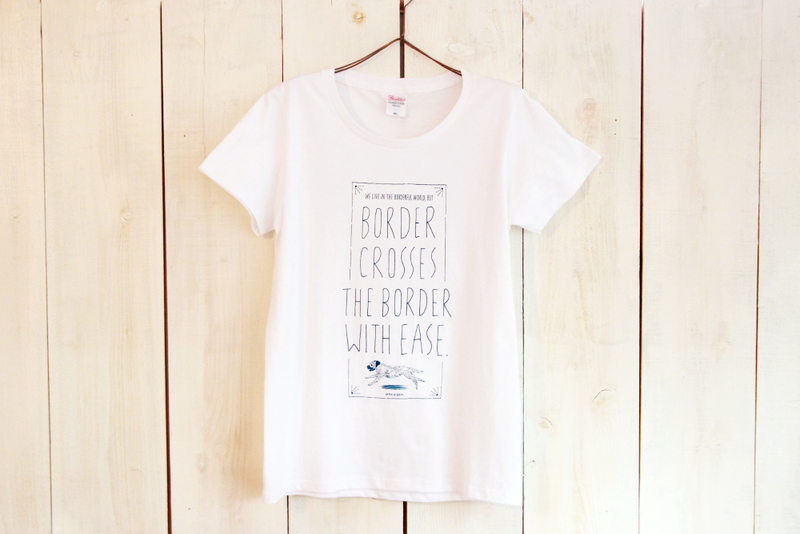 This t-shirt is formed of a thick and durable cloth and loose-fitting size to cross several borders or stereotypes. 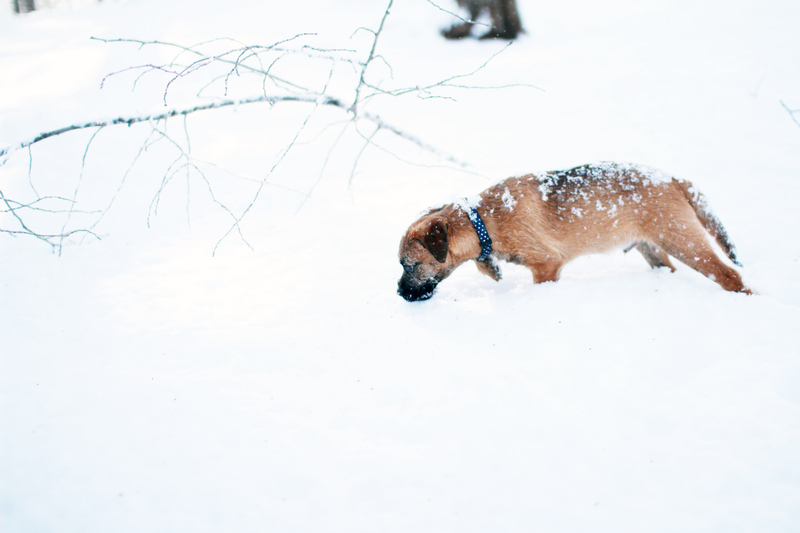 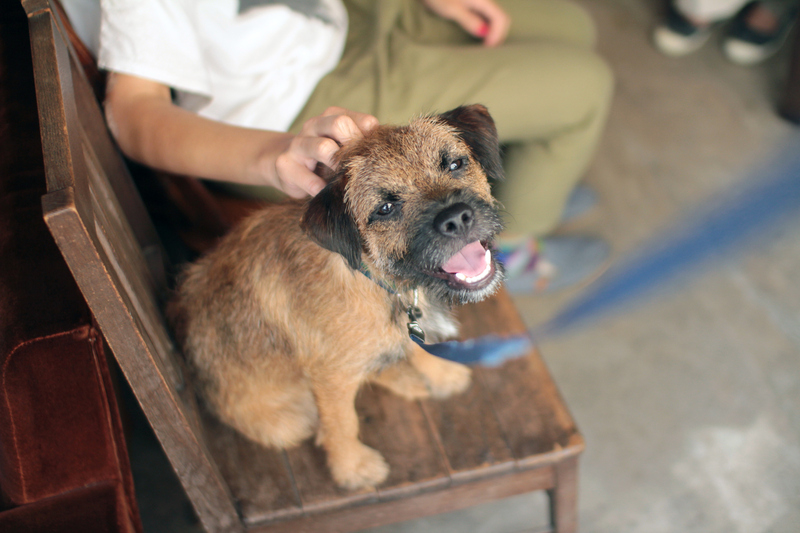 By the way, my studio’s mascot dog is Border Terrier. 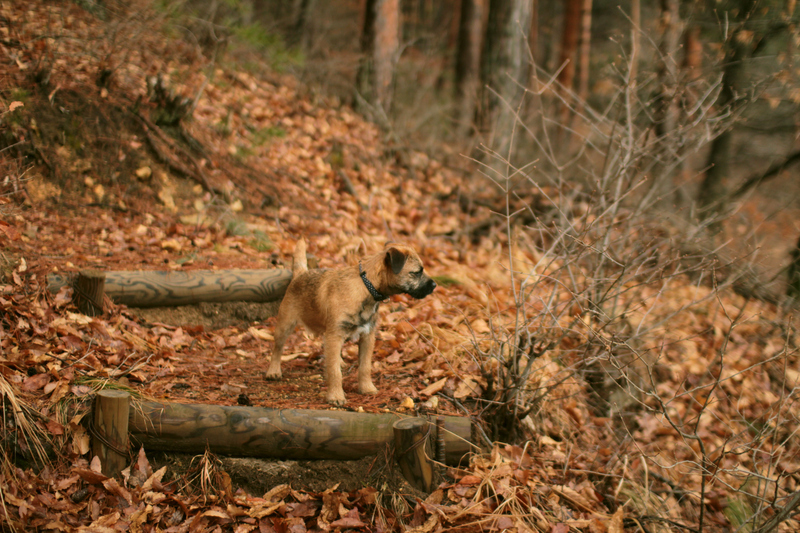 His name is Loch, it means lake in Gaelic which is an old language in Scotland.